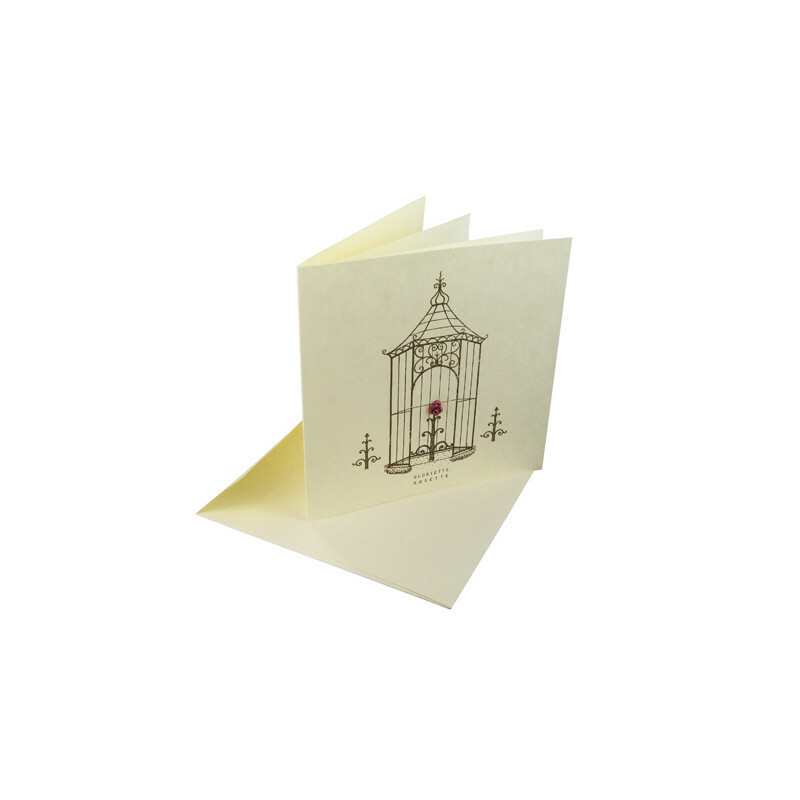 This double card, coloured 'light ivory with cloudy transparency effects, with wrought ironwork motifs and metal pieces glued or hand sewn on the paper, is delivered with a double white inner sheet and an ivory self-sealing envelope. Four versions are available: star, lock, butterfly and gazebo. This collection pays homage to wrought ironwork, an artistic technique that consists of forming iron in the forge, in a swage or with a hammer. It reached its peak of excellence in the reign of Louis XIV. Materials : Paper 180 g/m², Inner sheet 70 g/m², Metal piece, Envelope 120 g/m².